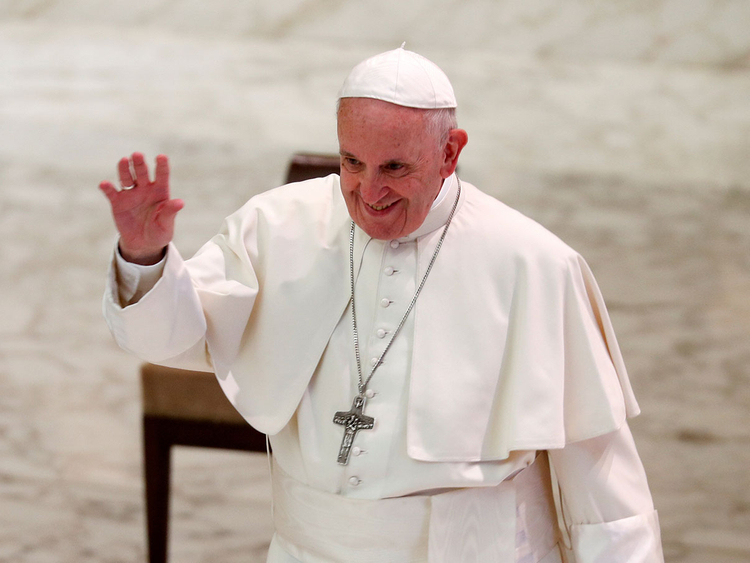 Abu Dhabi: More than one million Roman Catholics and other Christian expatriates living in the UAE are excited on the first visit of Pope Francis to the UAE in February. Pope Francis will visit the UAE in February to attend an International Interfaith Meeting on ‘Human Fraternity’, it was announced in Abu Dhabi and the Vatican City on Thursday. The UAE is home to over 40 churches — substantially more centres of worship than all the other GCC countries combined. The historic visit — the first to a GCC member country — is at the invitation of His Highness Shaikh Mohammad Bin Zayed Al Nahyan, Crown Prince of Abu Dhabi and Deputy Supreme Commander of the UAE Armed Forces, and will take place from February 3 to 5. His Highness Shaikh Mohammad Bin Rashid Al Maktoum, Vice-President and Prime Minister of the UAE and Ruler of Dubai, welcomed the news with a tweet. “We welcome the news of Pope Francis’ visit to the United Arab Emirates next February — a visit that will strengthen our ties and understanding of each other, enhance interfaith dialogue and help us to work together to maintain and build peace among the nations of the world,” he tweeted. The UAE established diplomatic ties with the Holy See in 2007. It is estimated that there are over one million Roman Catholics and other Christians in the UAE, most of them guest workers from other countries. The majority of these Christians are Catholics, and there are seven Catholic churches in the country. In a statement welcoming the historic visit, Shaikh Abdullah stressed its importance and expressed the appreciation of the UAE government and people, saying that it would build stronger ties of friendship and cooperation between the UAE and the Vatican. The Pope’s visit, Shaikh Abdullah said, is in accordance with the UAE’s policy and efforts, under the leadership of President His Highness Shaikh Khalifa Bin Zayed Al Nahyan, to establish and support strong foundations of brotherhood and peaceful coexistence, both regionally and globally. “Pope Francis’ acceptance of the UAE invitation strengthens these efforts and will further promote interfaith dialogue,” he added. Shaikh Abdullah said there are significant and sincere international efforts to establish initiatives and movements that can contribute towards the deepening of global human relations based on the principles of tolerance and coexistence. “This was of benefit both to nations and to peoples,” he said. The UAE remains on the forefront of efforts aimed at achieving interaction among all religions and promoting values of tolerance, love and peace across the world. Tolerance, mutual respect and cooperation are key values of the UAE — a nation keenly interested in building humankind, creating harmony among different segments of society. Reverend Canon Andrew Thompson of St Andrew’s Anglican church in Abu Dhabi told Gulf News the visit of Pope Francis to the UAE will be a historical event. “It is both a tribute to the ruling family, and their long standing commitment to fostering a society of coexistence and acceptance — and to the flourishing and faithful Roman Catholic community who have been part of the UAEs story. They have been involved in the first schools and hospitals in the UAE and their churches are packed with worshippers who regularly pray for the country which they call home,” he said. Reverend Thompson added the Roman Catholic Christians enrich the UAE through their service in education, health care, aviation and hospitality industry, and I rejoice with them the good news that the Pope will see them in the country in which they serve. The UAE Charter of Tolerance, Coexistence and Peace also promotes respect for cultural diversity and rejecting violence, extremism and racism.